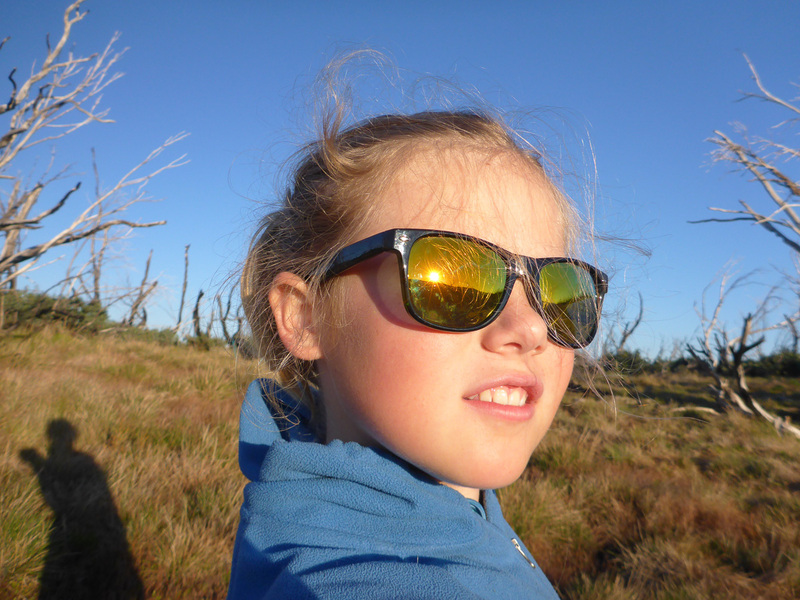 It was late February and we were packing for the next stage of our family canoe trip down the Murray when we heard about the Blue-Green Algae outbreak on the river. 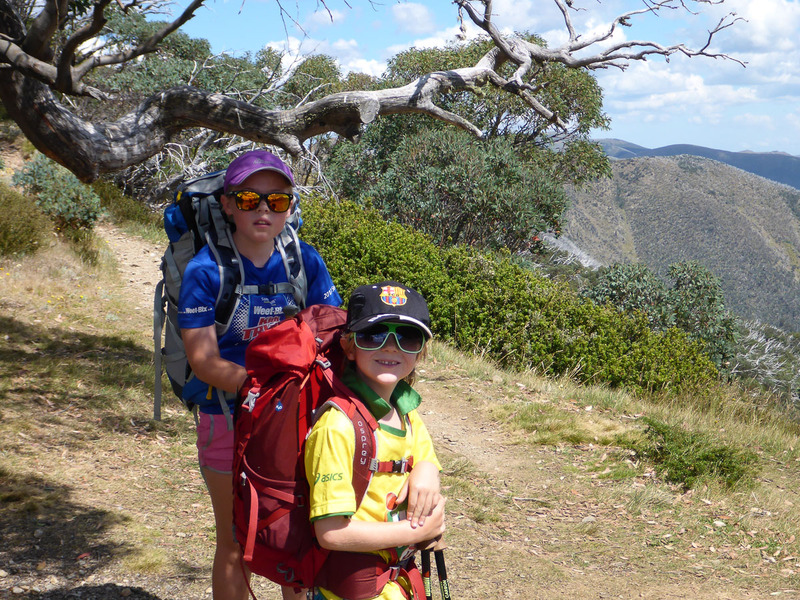 The weather forecast was perfect so we decided to go to Plan B – a hike in one of the high country’s most spectacular areas and get my kids to the summit of Victoria’s second highest mountain. 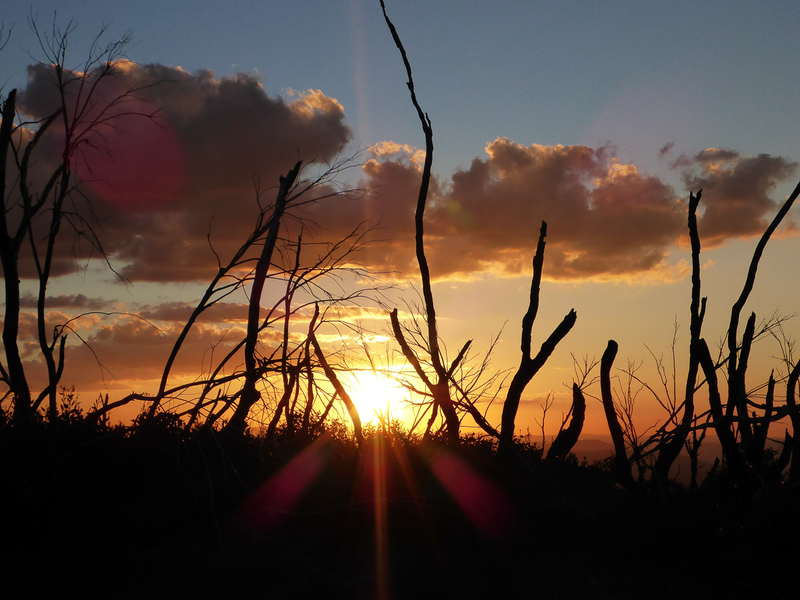 There are several tracks that provide access to Mt Feathertop, but the easiest and arguably most scenic route is along the Razorback. 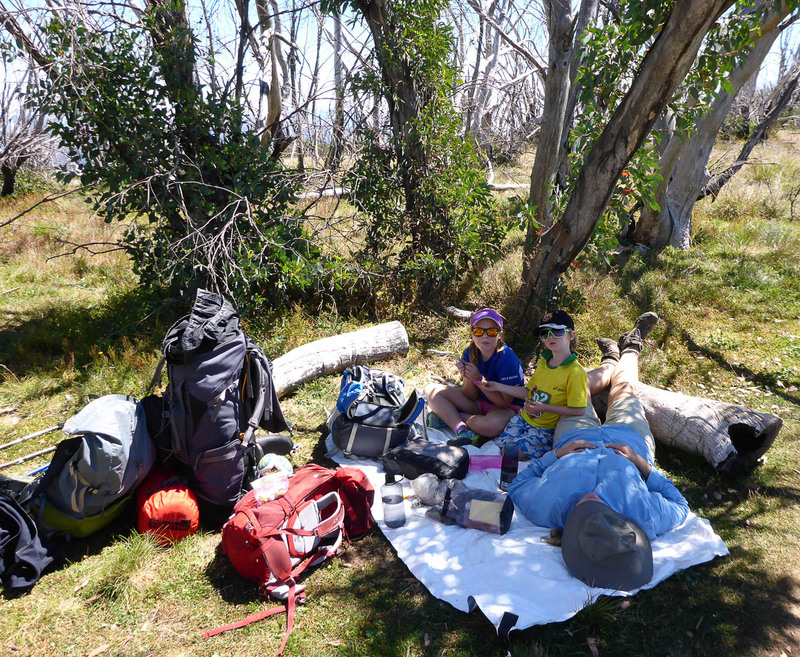 We parked at Diamantina Hut (near Mt Hotham) and started our walk at about 10am. 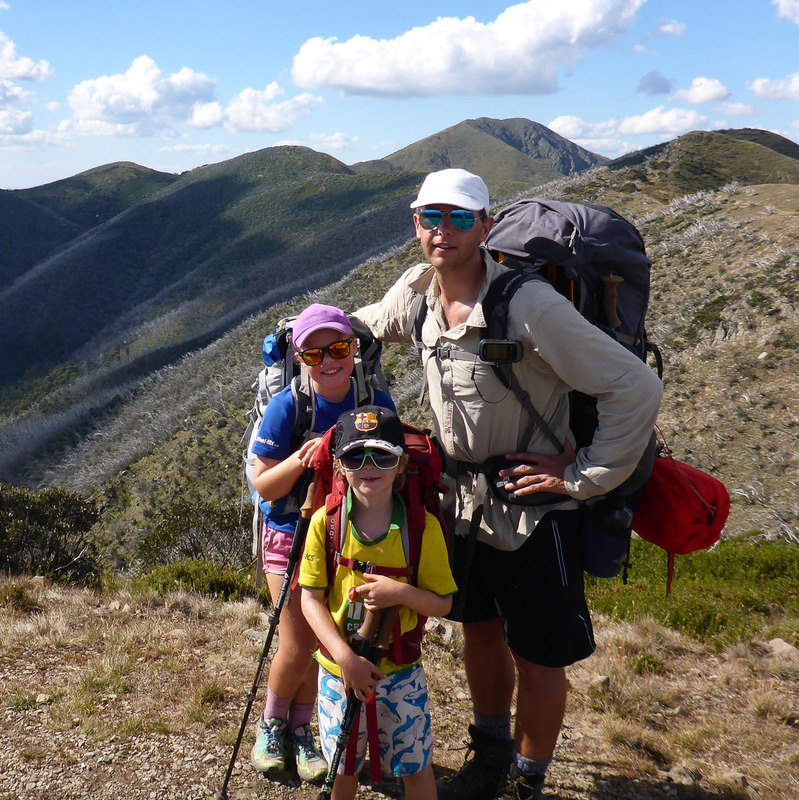 I sold the trip to my family as an easy 10km walk along a gently undulating ridge. While the start point and campsite at Federation Hut are at a similar altitude, I had probably undersold the size of the bumps along the way. 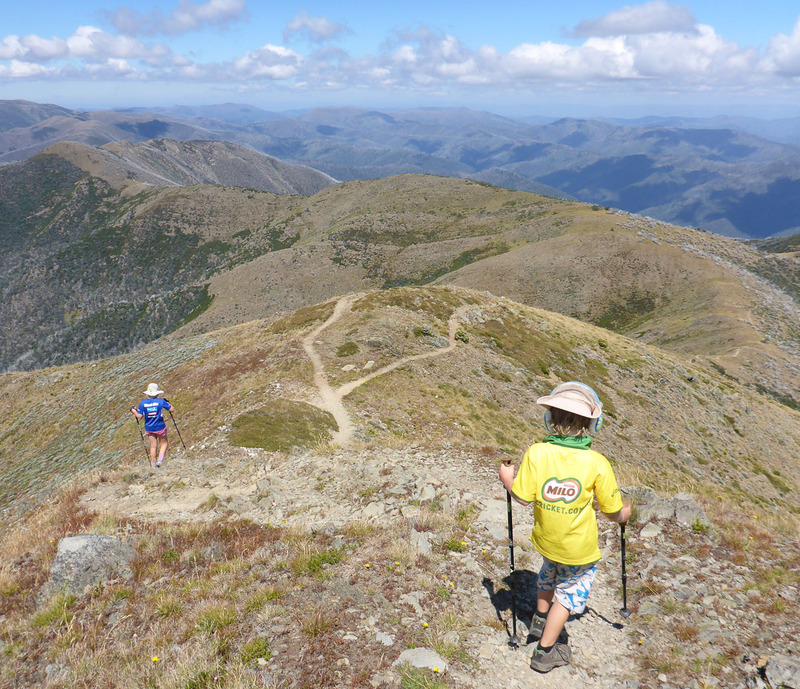 The track is well defined and easy to follow and a fit adult can walk to Mt Feathertop and return to Hotham in a long day. 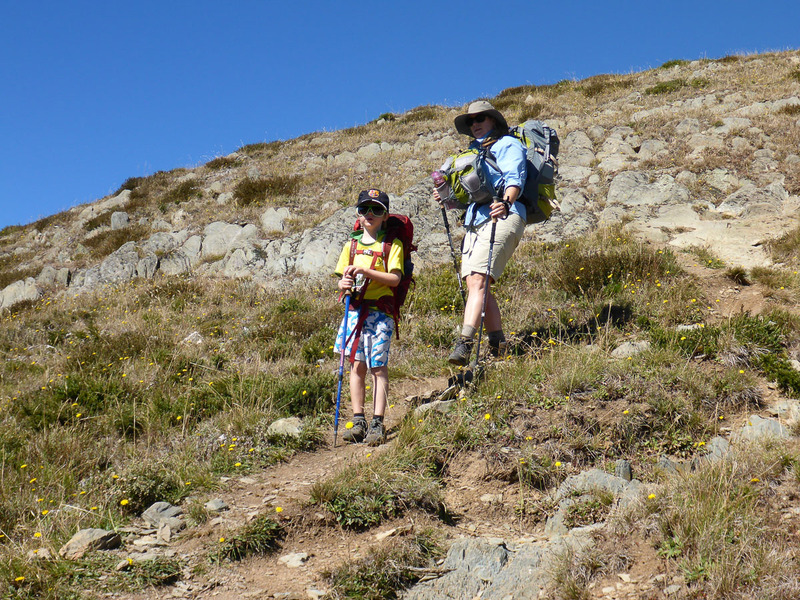 Frasero and Mrs Bretto decided to take the “shortcut” track on this section which was slower and steeper than the longer contour track. 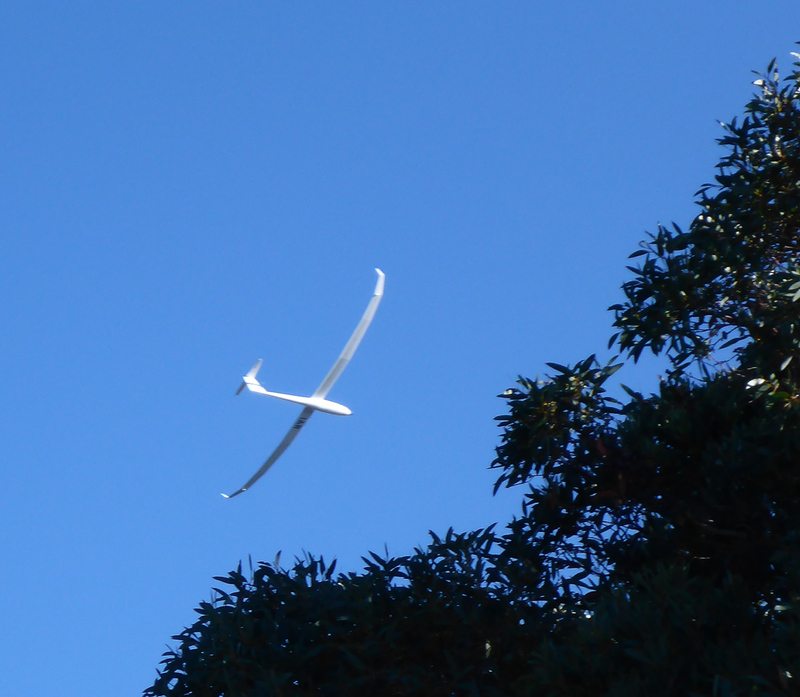 The weather was perfect and we had couple of gliders showing off their skills during the afternoon. They are so quiet you cant hear them until they are right on top of you…..hence the average photo. 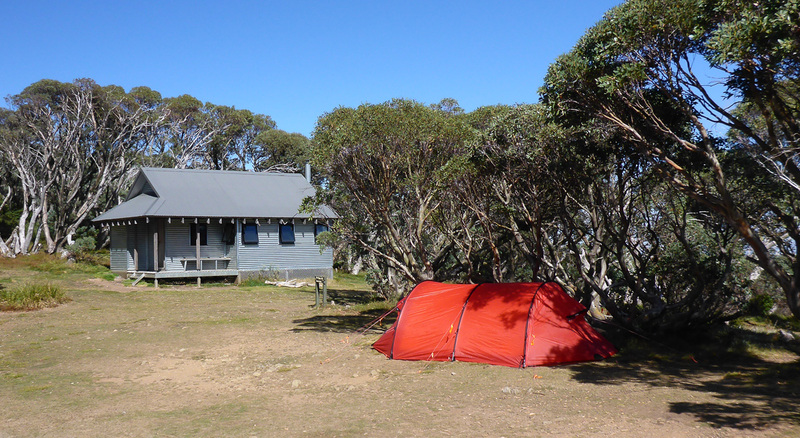 We arrived at Federation Hut mid afternoon after several lengthy breaks. 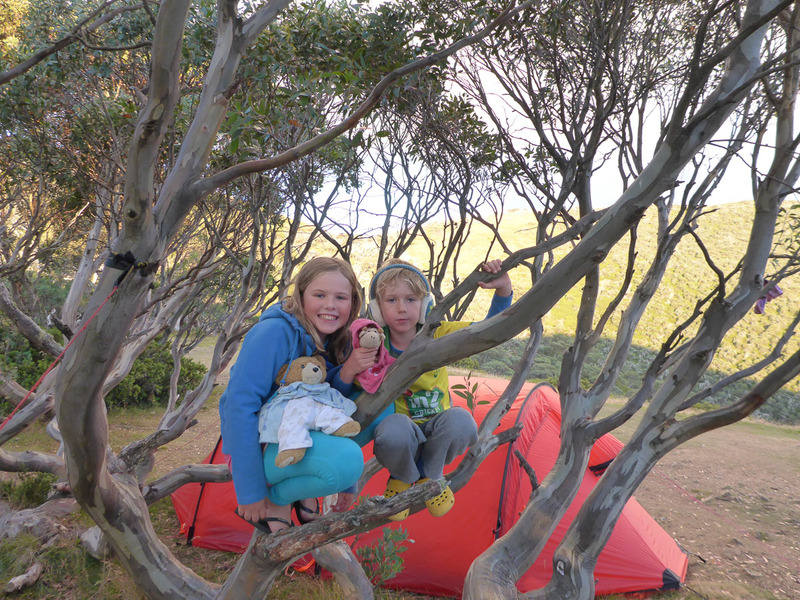 Despite my suggestion that the kids only bring essential items to keep their pack weight down – it seems that leaving the teddy bears at home isn’t an option. 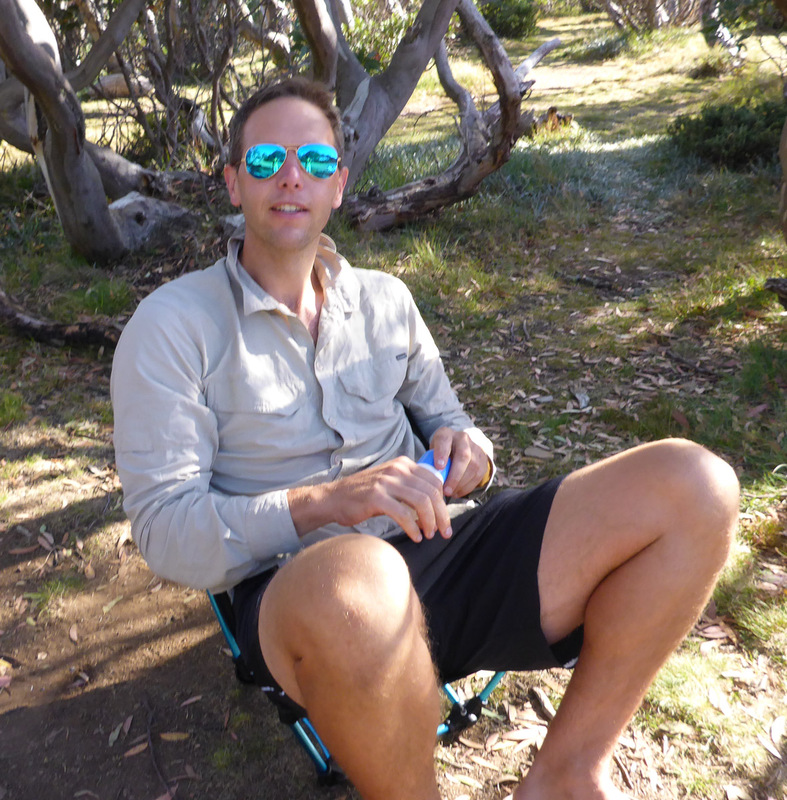 It turns out that Mrs Bretto doesn’t like sitting on the ground – so I got her a Helinox Ground Chair. At just over 600 grams it isn’t too heavy to take on a short walk like this – and since I carried it in there I had to test it out. It is surprisingly comfortable. 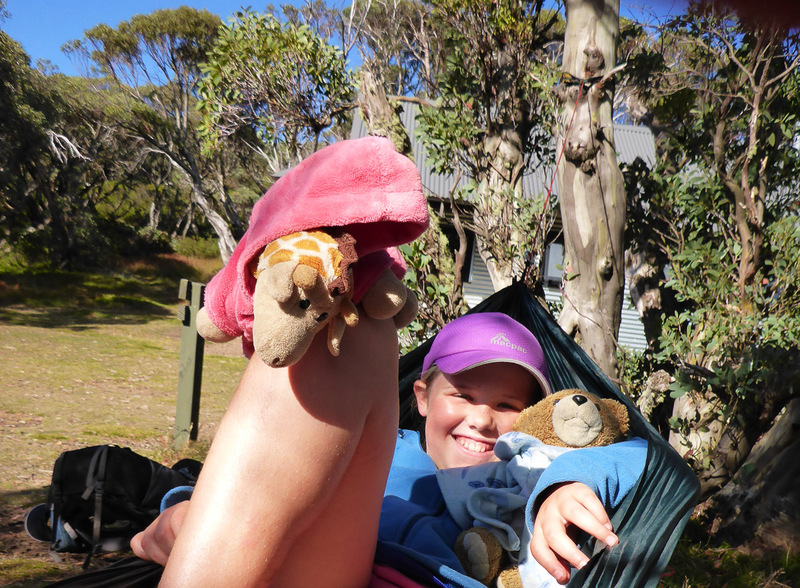 Amyo enjoying some hammock time – which by the way is much more comfortable than any hiking chair. 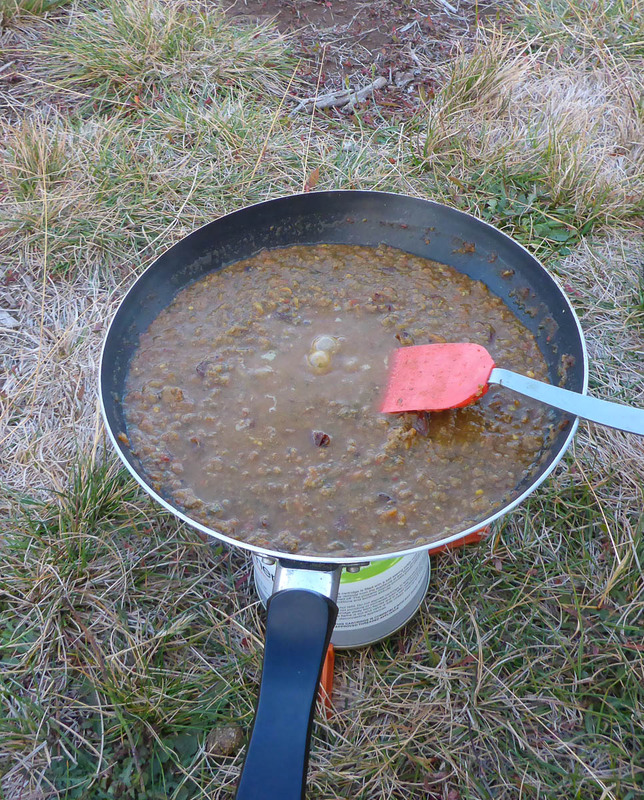 Our trusty Hilleberg Keron 4 wasn’t exactly challenged by the conditions at Federation Hut. Damn you good weather. Why is there a dog at Mt Feathertop? As most readers will know you are not permitted to take your dog into a National Park – so we were surprised to meet a trail runner with this dog following behind him. It turns out this runner was training for some insane long distance event and as he ran through Harrietville that morning this random dog started to follow him. 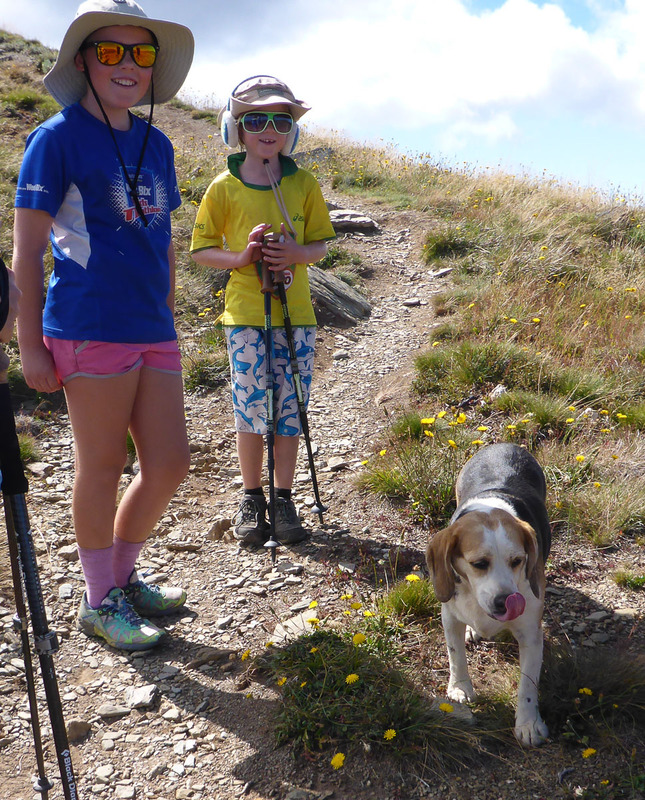 The dog kept following him all the way up Bungalow Spur and then onto the summit of Mt Feathertop. The dog would have been pretty shagged after that climb so the runner led to the dog to the spring on the way to the MUMC Hut for a well earned drink. He then ran back down to Harrietville where the dog peeled off and presumably went back home (we spoke with the runner again the next day so that is how we found out the dog made it back to town safely). 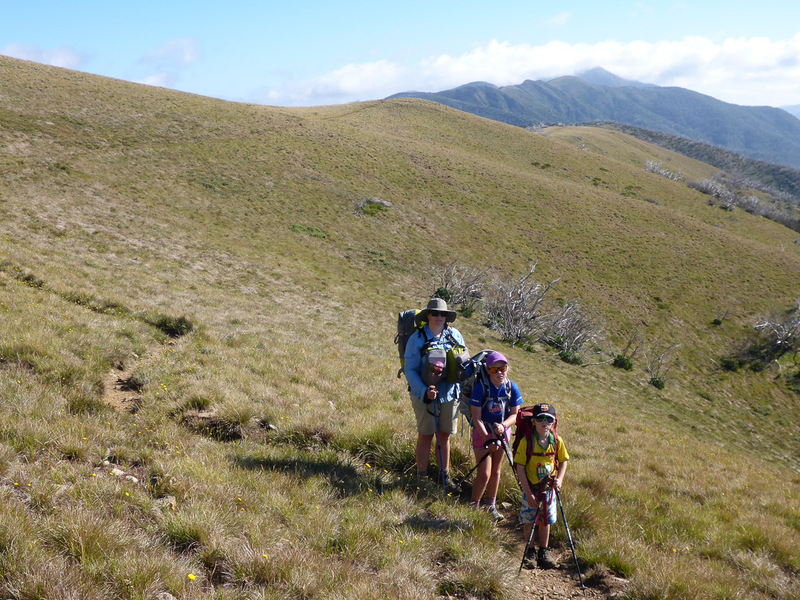 Descending from the summit of Mt Feathertop (1922m). 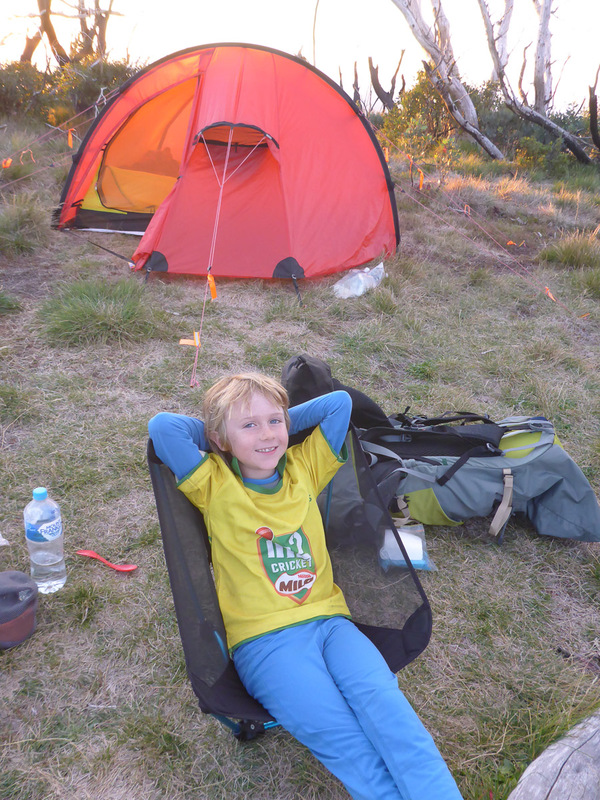 We were planning to camp for 2 nights at Federation Hut and have a lazy day on the summit and relaxing around camp – but by mid afternoon the kids got restless and were keen to start heading back along the Razorback. So we packed up our gear and walked about half way back to the car. There are several nice spots to camp along the Razorback but you will need to carry all your water and a shovel as there are no facilities. The kids look like they are enjoying themselves but they assured me that they were not. Frasero taking a relaxing break in the Ground Chair. Looking north along the Razorback with Mt Feathertop in the distance. We made it back to the car before lunch time on our third day before driving back to Melbourne and our normal lives. 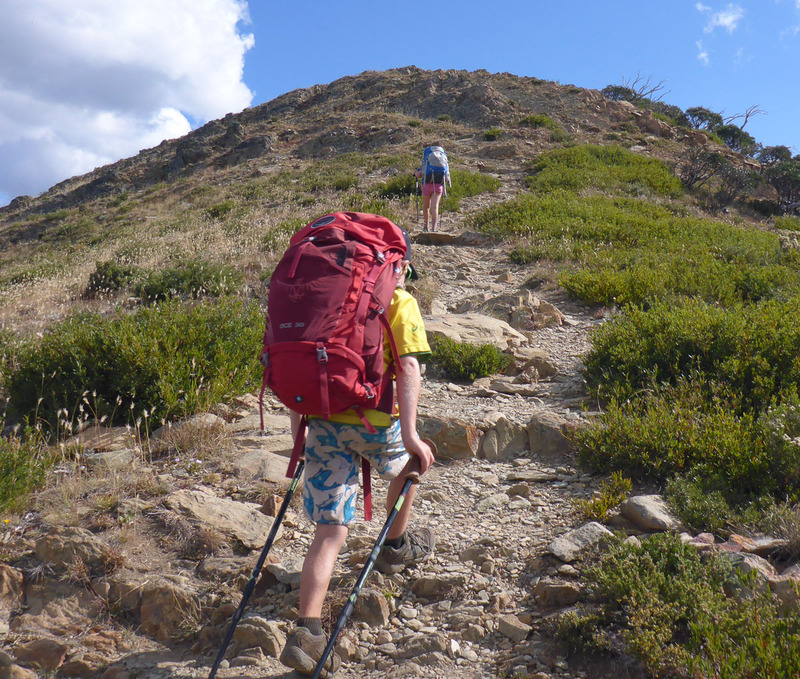 I recommend this walk in the warmer months as a relatively easy option for families or people new to hiking. 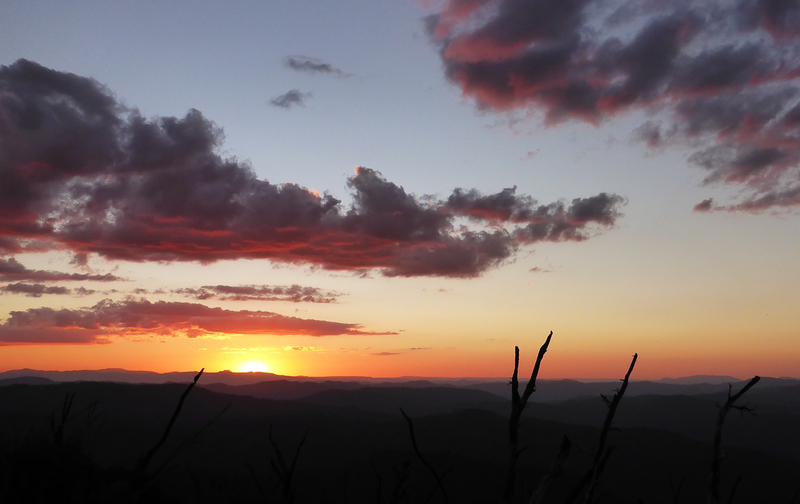 However the Razorback is very exposed and the weather in the high country can turn nasty at any time of the year. So be prepared, carry some spare food and take your wet weather gear even if it is sunny. I have also walked Bungalow Spur, Bon Accord Spur, Diamantina Spur and North West Spur. While they are all good walks if I just wanted to get up to Mt Feathertop I would go up Bungalow Spur from Harrietville as it is relatively easy (considering the big elevation gain), offers decent protection from the wind and is a bit shorter drive from Melbourne than the start of the Razorback. What an enjoyable read about an iconic walk. And how good is that chair! Thanks for a great read – we are doing this with our 9 year old i nthe first week of April. 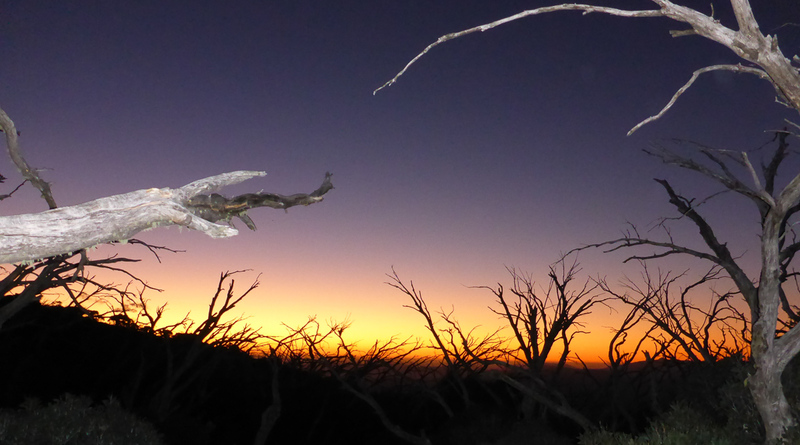 Planning to watch the sun set from atop Mt Feathertop, then descend to Federation Hut with headlamps. What are your thoughts on this? I think that would be fine to walk down after sunset assuming the weather is good and the rocks/track to the summit are dry.